On saying that I have had huge, huge support from my web designer Tamsin, who has built the actual site, brought everything to life for me, had loads of brilliant ideas, cheered me up when I felt I couldn't go on and generally been wonderful. As she always is. And also a warm thank you to the lovely Kaitie and Jay at Leaff Design who set the ball rolling last year by working up a lovely new logo, brand pattern and some initial ideas for the website - which I have stayed pretty close to all in all. Again, I've already mentioned this but I am now working from new premises. 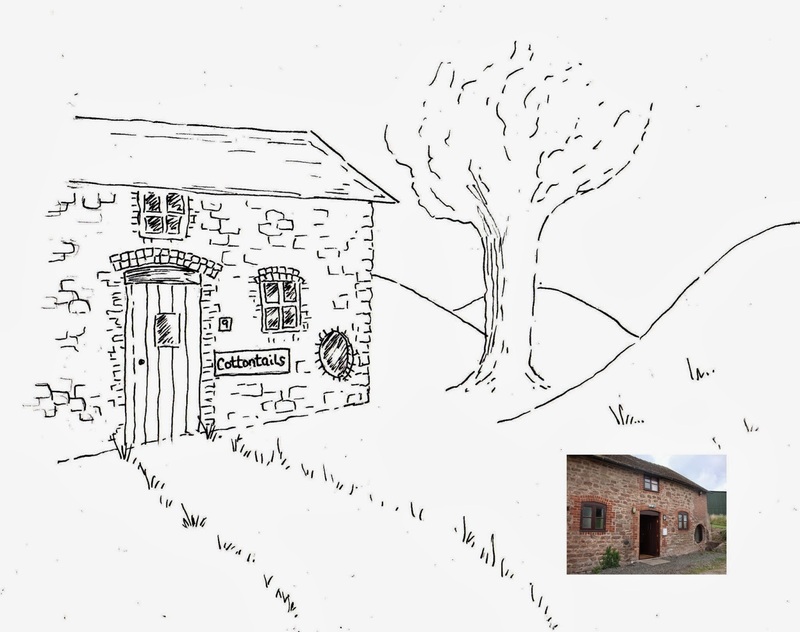 Last month I signed a lease on an office at a converted farm / business center in Lower Eggleton. Leighton Court is a small development with a farm shop, cafe, couple of other small businesses - it is also a working farm and there is a huge amount of apple picking going on at the moment. My office, number 9, is 'round the back' (up a farm track) and quite separate to the rest of the units. And it's big! At about 550 square feet it must be four times the size of the room I was in at home. 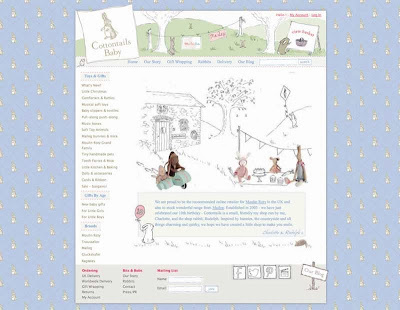 To be honest it's a terrible mess at the moment - I have bought new shelving from IKEA which is still in packs on the floor, all my stock is in boxes, packing materials all over the floor... but I am hoping to start 'nesting' and get things sorted now the website is done. It really is a great space for Cottontails. Quiet, in the countryside, a bit of character, just about affordable. And the first time I drove here with my keys, to start moving things in, a little rabbit hopped across the drive in front of my car. Perfect. My third and final bit of Major News is that Cottontails has celebrated a bit of a milestone birthday. 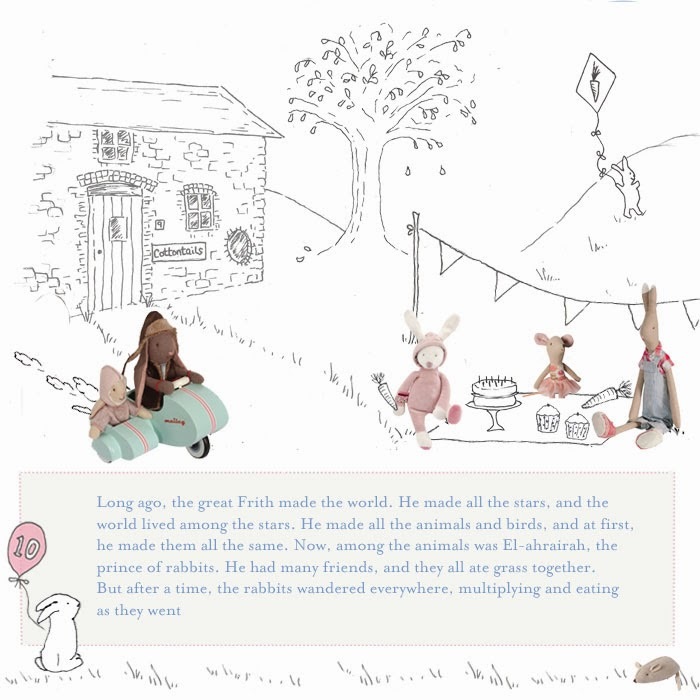 Last month, in the midst of moving and working hard on the new design, we passed the 10 year mark, which I've tried to capture on the new home page, with my little party scene. 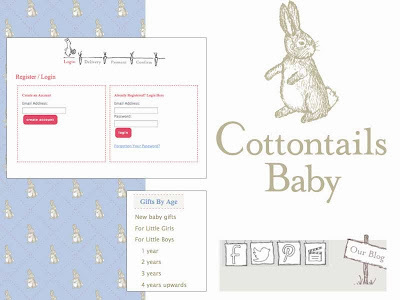 So, it's a happy birthday to Cottontails, and here's to a happy future too! Congratulations, it all sounds very exciting!